Petrobras CEO Pedro Parente and Total S.A. CEO Patrick Pouyanne signed a memorandum of understanding, formalizing a strategic alliance in the Exploration & Production and Gas & Power segments. Photo courtesy of Petrobras. Petrobras and Total S.A. have signed a memorandum of understanding (MOU) in the Exploration & Production (E&P) and Gas & Power (G&P) segments in Brazil and other critical locations around the globe. Under this MOU, the companies commit to jointly evaluate opportunities in Brazil and beyond, focusing on key areas of mutual interest, leveraging their experience in all segments of the oil and gas chain. In the first phase of the agreement, the companies intend to focus on the E&P and G&P areas. In E&P, Petrobras will offer partnerships in projects in Brazil, while Total will offer partnership opportunities abroad. This new alliance will allow the two companies to partner in deep water development projects, sharing costs and risks in highly complex projects. In the G&P segment, the companies will undertake joint activities in the natural gas and electricity areas in Brazil. In a second phase, the MOU also provides for the extension of the strategic partnership to all refining and natural gas segments. 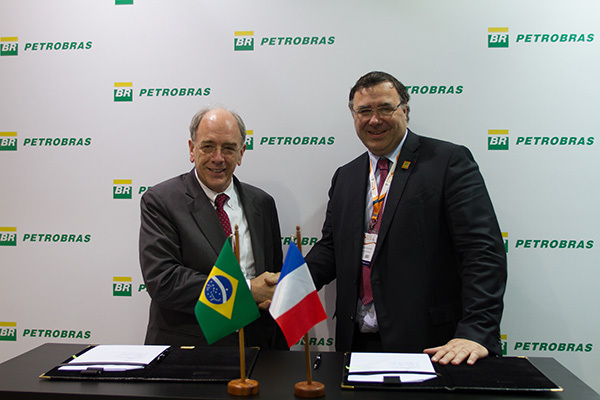 Petrobras has partnered with Total in 15 exploration and production consortia. In Brazil, the two companies are partners in the Libra area, the first contract under the production sharing system, which is in the Santos Basin pre-salt region. Abroad, they are partners in the Chinook field, in the US Gulf of Mexico, in the Akpo deepwater field, in Nigeria, and in the San Alberto and San Antonio/Itau gas fields in Bolivia, in addition to being partners in the Bolivia-Brazil pipeline – the longest natural gas pipeline in South America, connecting Bolivia’s natural gas sources with the south-east regions of Brazil.